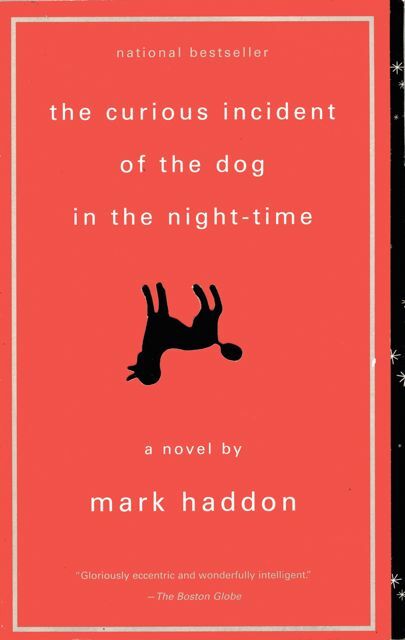 The only curious thing about Mark Haddon’s The Curious Incident of the Dog in the Night-Time is that it actually was a critical and popular success when it was published in 2003, selling millions of copies and winning a number of awards, not least the Whitbread Book of the Year award. The only reason I mention it is because the novel contains a photograph (pictured below right), a reproduction of the first of the five photographs of the Cottingley Fairies. 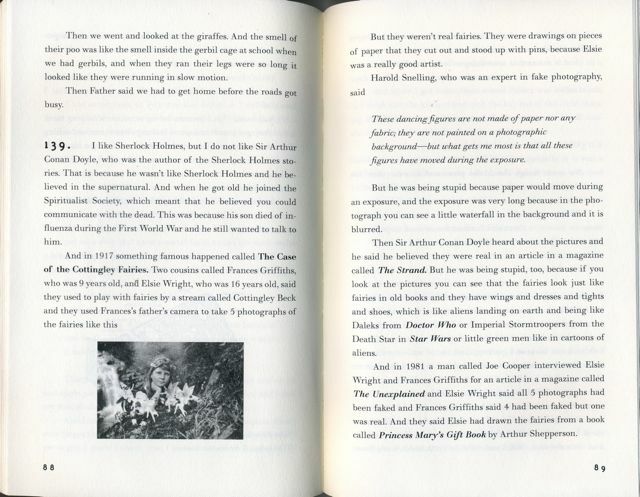 The photograph is included in a passage in which the adolescent hero of the novel evokes his dislike of Arthur Conan Doyle, who did believe in fairies. Why Haddon felt compelled to include this single photograph in his novel will remain a mystery to me. The picture below right is taken from the 2004 Vintage Contemporaries edition of the novel, which is pictured below left. This entry was posted in Mark Haddon, Picture novels and tagged Curious Incident of the Dog in the Night-time, fiction, Mark Haddon, photography, picture novels. Bookmark the permalink. This book should be a must read for everyone who works with children. The insight into the thinkings of a child with Autism is amazing and will alter your perspective forever. The way the main character thinks allows you to understand the effect of external stimuli and pure logical thinking has on people with autism. I wish ever teacher, social worker, or other caregiver would read this book.